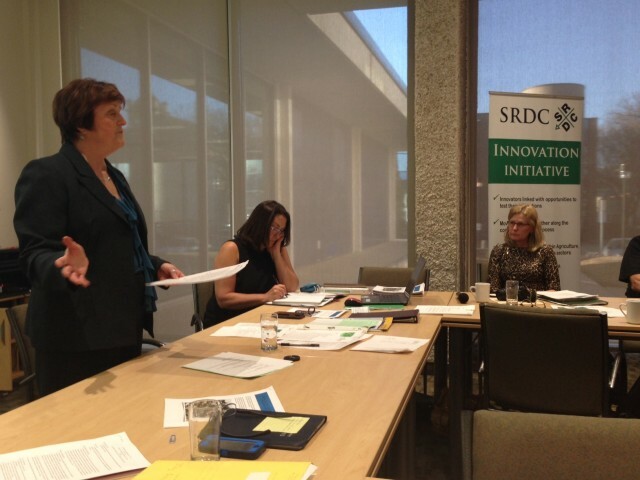 On April 15, 2015 the Southwest Regional Development Corp hosted their AGM. They are making progress on business succession and rural innovation. RDI helps to bring focus to these two strategic directions. Celtic Power and Machining presented their gasification for municipal rural waste with smaller landfills, which SDDC is assisting with a demonstration site. It uses a chemical process to reduce waste by 95% and volume by 83% in weight. Wendy Bulloch is talking about learning materials for farm succession.